When it comes to timeless elegance, exquisite design and strong English heritage, one neighborhood springs to mind: Hyde Park. 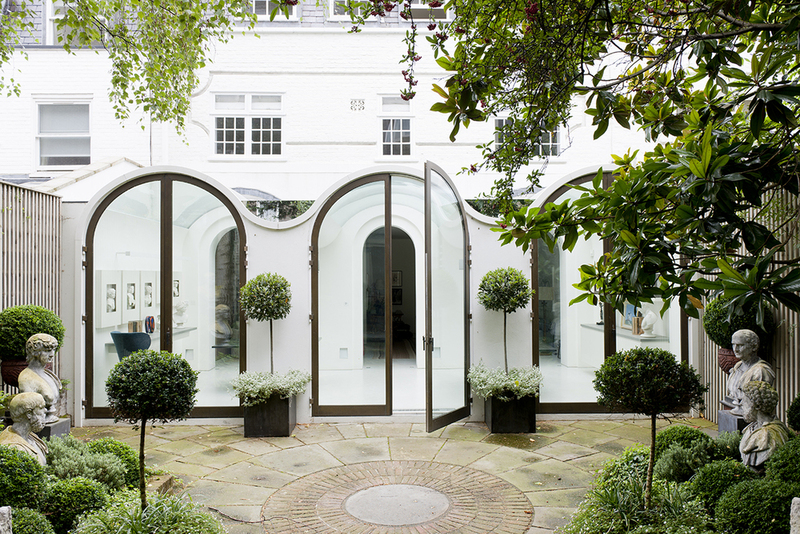 New to the leafy streets of London's Hyde Park is Mews 04, a large 5 bedroom double fronted mews house designed by Andy Martin Architects. AMA accomplished the most elegant blend between the client's existing classical spaces and furniture and Architect Andy Martin's own contemporary interventions. Here, the timber framed faux Victorian Style conservatory that was completed in the 80's, is now a facade of three barrel vaults, with three large curved double glazed units, the largest single horizontal units in the UK. Notably, the most striking feature of the home is its three large bronze french doors that open out from the conservatory to connect with a classical garden layout. The stark white conservatory was Martin's spring board for a new aesthetic approach of the rest of the house. The space welcomes in natural light from all angles. Sunlight filters in through the arched glass doors and from the barreled ceiling, where the roof was replaced with a single sheet of flowing glass. Further inside, Martin integrated quirky design details in unexpected places. A variation of bugs are etched into the glass panels of the home's french doors to celebrate the greenhouse-like nature of the dwelling. 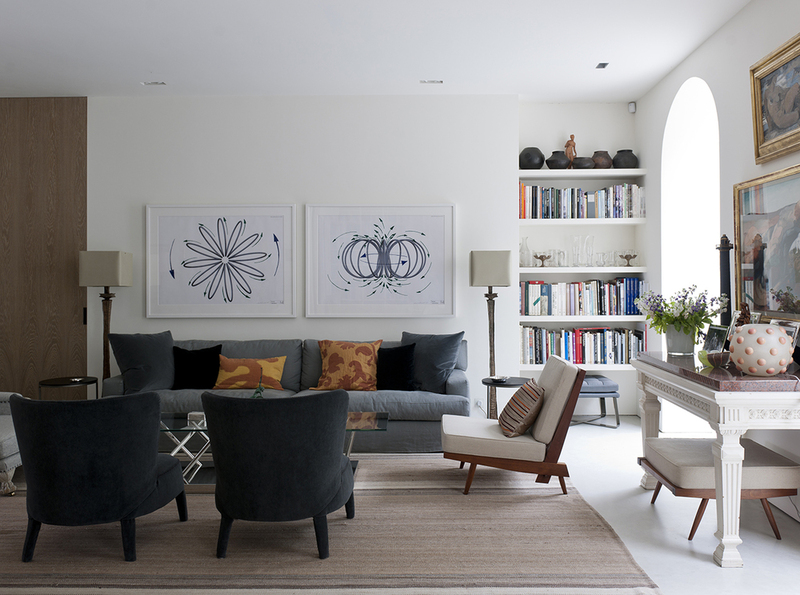 The decor outfitting the living room and library becomes a daring mixture of classic luxury and modern lifestyle. A selection of timeless furniture pieces provide a friendly juxtaposition with contemporary and colorful trinkets over the dyed and brushed solid oak flooring that runs throughout. Martin also designed a new floating stair that divides the house in two, with a new skylight bringing natural light to the center of the house. Staying true to its luxurious character, marble is present in the bathrooms, as Martin harmoniously draped the solid stone over the bath and basins. Carved to AMA’ s synonymous organic style the marble is laid delicately with the warmth of a timber floor and walls. This is a residence where everything has been designed patiently with every detail thought through in every way. All the fixtures have been specified and designed carefully, the furniture pieces have been allocated to give that sense of perfect comfort and we can say without a doubt that this is the work of an architect who delightfully infuses the old world with the new.